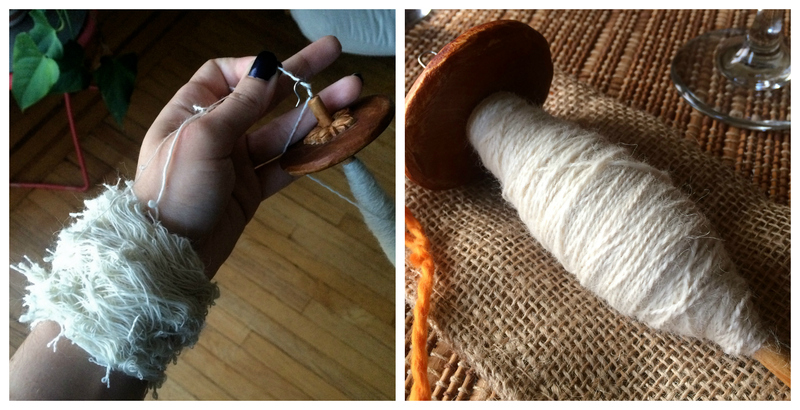 : the only crafting project I really worked on this week was a little bit of spinning. : Saturday I spend the afternoon spindle spinning a sample of alpaca/wool fiber, and as a little bit of an experiment I documented the progress through the afternoon over on Instagram – it was fun photographing the incremental progress, and was a good reminder to stop & take photos of what I’m making as it’s in the process of getting made, so I’m going to try doing more of that in the future – if you’re on Instagram, come say hi! : then I spindle plied the sample last night, and now it’s resting until I get around to skeining the yarn.